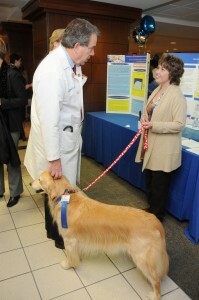 Advances in health care happen in a variety of ways. Sometimes they occur as a matter of necessity – the desperate attempt to save a life. Sometimes they occur as a matter of luck – the “eureka” moment of discovery. 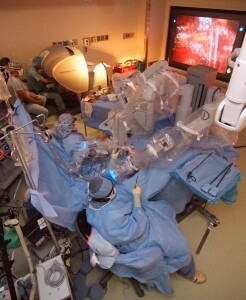 Robotic kidney surgery at Henry Ford Hospital. Most of the time they occur as a result of thoughtful innovation, development and assessment, and then tested for reliability and safety. When you take a prescription or an over-the-counter drug, you probably don’t give very much thought as to how that particular medication came to be; you know what it does, potential side-effects and why you’re taking it. The drug manufacturer tests it and submits evidence through a “new drug application” to the FDA’s Center for Drug Evaluation and Research (CDER). A team of CDER physicians, statisticians, chemists, pharmacologists, and other scientists then review the data provided in the application and propose labeling, should it be approved for use. After that a clinical research process continues to test the validity of the studies and role of the medication in the treatment process. Ever wonder how the tracheostomy came to be a surgical method of treating an obstruction in the trachea? The technique was clearly an innovation at the time. But it was not required to go through a randomized controlled trial or other strictures required of new prescription drugs and medical procedures. You can take a drug “off label” for other uses – there’s a clear method for researching alternative uses and effectiveness as such. Shouldn’t we have something similar in place for new surgical techniques? For surgical and procedural cases, the “off label” uses are not as clearly understood or often as rigorously scrutinized. On the brink of the opening of the Henry Ford Innovation Institute, we honor the passing of one of the greatest innovators of our time.